Not all hardwood floors are made equal, and when you want the right hardwood flooring option for your needs, it pays to do a little research. But, luckily, your go-to hardwood flooring installers in New Jersey are here to help. In Part 1 of Your Guide to Hardwood Flooring Types, we covered the basics of solid hardwood vs engineered hardwood, and in Part 2, we covered the pros and cons of unfinished vs prefinished hardwood. Today, we’ll be covering another one of the many decisions you’ll have to make when it comes to your new floors — hardwood or softwood. Here’s a breakdown of hardwood and softwood, and a few differences to consider as well. How do you know if it’s hardwood or softwood? Determining whether the wood is a hardwood or a softwood depends not on the physical structure of the wood but on what type of tree it comes from. Hardwood comes from trees that flower, called angiosperms, like maple, oak and walnut. Softwood comes from evergreen trees, like spruce or pine. Typically, hardwoods are going to be more durable than softwoods; although, there are a few exceptions to this rule, like wood from a yew tree, which is technically a softwood, but is harder and more durable than most other softwoods. But, as a general rule, softwoods will scratch more easily and show more imperfections than hardwoods. All wood species, regardless of whether they are softwood or hardwood, will have their own unique grain patterns. 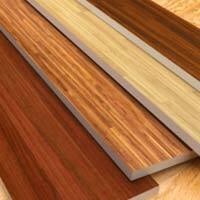 Hardwoods are normally available in colors, such as reds, dark browns and even white. On the other hand, softwood usually is available in a lighter red color or a yellowish color. Yes, both hardwood flooring and softwood flooring can be refinished. But, if you’re planning on refinishing your floors often in the future, you might be better off with hardwood than softwood. While, yes, softwood flooring can be sanded and refinished, its softness makes it a much more challenging job. At the very least, it’s a job you’ll want to leave up to the professionals. Which areas of the home are they ideal in? Hardwood floors can be used in virtually any area of your home, but like with any organic flooring, you’ll want to avoid using it below grade and in areas that get a lot of humidity or moisture, like kitchens, bathrooms, etc. — at least without the proper precautions. Softwoods are best in rooms with very little foot traffic or humidity, and with the right seal, they can last for years in these types of areas. However, it’s best to avoid using softwood flooring in any areas with a lot of foot traffics, rooms that have heavy furniture, kitchens — where spills are common — and dining rooms — where chairs are moved in and out from under the table often. Do they come prefinished or unfinished? In our last blog, we went over the ins and outs of prefinished and unfinished flooring, and we talked about the pros and cons of each. While both prefinished and unfinished flooring can be great options, it’s important to note that hardwood floors are much more likely to be prefinished than softwood floors. Prefinished softwood is rare, but when you get softwood finished on-site, it allows you to customize the stain and finish to your own specifications. In terms of cost, softwood is typically going to be a little more affordable than hardwood. But, keep in mind that there are a lot of variables that determine the cost of your wood floors, and hardwood vs softwood is just one of them. Some things that may make a softwood floor end up costing more than a hardwood floor include the added cost of labor to install and finish the floor on-site and a shortened lifespan due to its limited durability. For the best in softwood and hardwood flooring, choose Floor Expo. 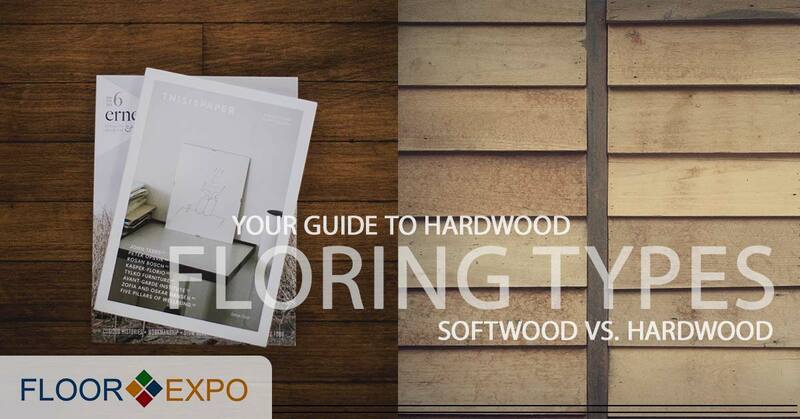 Whether you choose softwood or hardwood floors, choose Floor Expo. We’ve got a huge selection of wood flooring options to choose from, and our expert installers have the experience to get the installation done right the first time. Shop our wood flooring options online now or stop by our flooring showroom in Edmonton. And, make sure that you stay tuned for our next blog to learn all about the different species of wood you can choose for your floors.